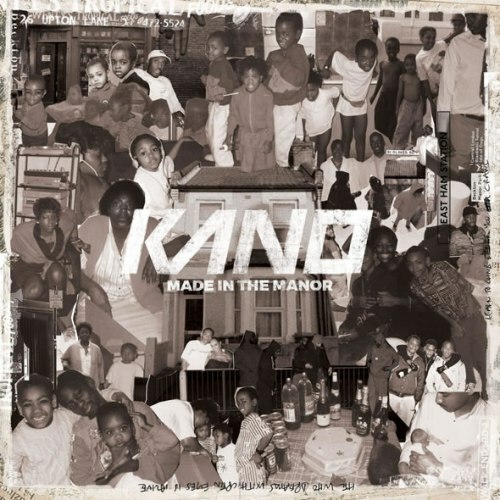 In my humble opinion, Kano is one of, if not the most talented MCs Britain has to offer. His studio career began over a decade ago with an essential part of grime history- Home Sweet Home, which was ‘home’ to P&Q’s and Nite Nite, he then followed it up with another gem- 2007’s London Town. Recent years has seen Kano flourish outside of music, most notably for his lead role in cult Channel4 programme- Top Boy. And finally, on the same day the best rapper in the US (Kendrick) dropped a surprise album, the (arguably) best rapper in the UK blesses us with his fifth studio album- Made In The Manor. Kano’s fifth studio album is a long-awaited piece of music, and I’m certainly not the only one who rates the East-Londoner as one of the finest on the grime scene. Made In The Manor solidifies my already justified opinions. A plethora of superb instrumentals, notably intelligent structure, trademark lyricism, as well as an optimal combo of punchy venom with deft storytelling, Kano has crafted yet another essential grime album.